By now, most states require that all drivers carry a certain level of car insurance coverage at all times in the event that they are involved in a car accident. And although some states do not require that drivers have car insurance, they will still require the driver to have some form of financial responsibility to operate a vehicle on an official roadway. This system is designed to protect all drivers on the road from financial hardship in the event of a collision. But much like individual states’ car insurance laws, the cost of insuring yourself and your vehicle varies quite a bit depending upon the state. Some states are less populated than others, which car insurance companies believe makes drivers in those states less of a risk to insure. Therefore, the companies will charge less to those drivers because the chances that they will have to make a car insurance claim are much lower. 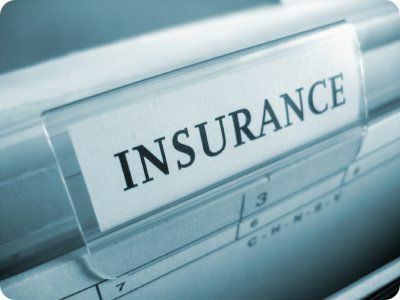 Each year, Insure.com does a detailed data analysis of car insurance policy and claims data to find trends in the costs and frequency of car insurance policies. The company recently released this year’s report and found the states whose residents are footing the largest bills for their own car insurance. The states with congested roadways and a high volume of car accidents are naturally going to experience higher costs, meaning the price of claims and insurance policies are typically much higher. It is these states that are eventually placed at the top of the Insure.com list. “Louisiana can’t catch a break,” Insure.com’s editorial director Amy Danise said. “It is consistently at the top of our rankings.” For example, a Jeep Patriot Sport is the least expensive vehicle to purchase car insurance for in the state of Louisiana, while the most expensive is a Mercedes-Benz S65 AMG sedan. No. 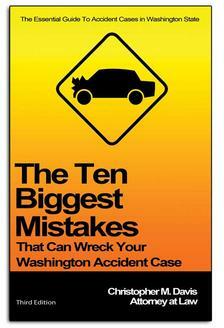 1: Louisiana: A high portion of Louisiana drivers who are in accidents file bodily injury claims. Also, car accident lawsuits for less than $50,000 go before elected judges rather than juries, and the elected judges are seen as siding with consumers more than the insurance companies, according to Insure.com. No. 2: Michigan: State residents carry heavy financial burden under Michigan’s guarantee of unlimited, lifetime personal injury protection (PIP) benefits for treatment of injuries from a car accident, the only state that has such a guarantee. Car insurance companies pay out the first $500,000 for medical treatment, and expenses above that are paid by the Michigan Catastrophic Claims Association. Everyone’s premium includes an assessment from the association, which is $175 per vehicle for 2013. Other states don’t even come close to Michigan's PIP law, noted Jeremy MacDonald, vice president of the Michigan Association of Professional Insurance Agents and president of the Mid-Michigan Agency in Alma. 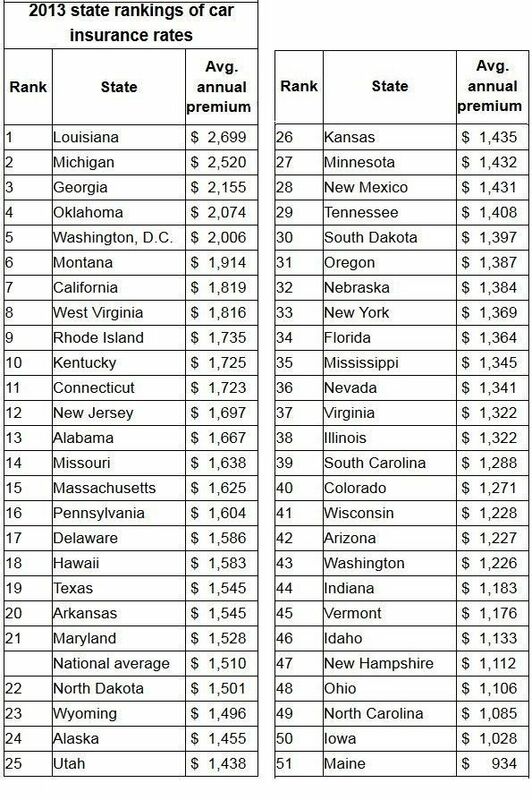 Florida caps PIP benefits at $10,000, for instance, and New York at $50,000. MacDonald says an instructor at an insurance course for agents once quipped, "I tell my wife if I have a heart attack, put me in the car and roll it into a tree." No. 51: Maine: Agents in Maine credit the state’s rural landscape with helping to hold down claims and insurance rates, Insure.com reports. They also think Maine’s graduated licensing program, which places tight restrictions on young drivers, helps reduce accidents.